A notepad is a pad of paper for writing down notes. Notepad may also refer to: Microsoft Notepad, a plain text editor included with Microsoft Windows. Text editor, a type of software also known as "notepad"
Is a generic text editor included with all versions of Microsoft Windows that allows you to open and read plaintext files. A brief record of points or ideas written down as an aid to memory. Google Keep Android Note Taking AppsGoogle Keep is a notepad app for android developed by Google. We can easily write and edit notes on this App. We can easily add notes, list, photos with the help of this App. We can also add color and labels to code notes. We can also work across multiple devices with this app because it provide note synced option. It also provide a search filter so that we can quickly search our notes. Approximately 100 million user download this app. Evernotes Android Notepad AppsBy using evernote we can synced our note across all devices on which we work. We can organize web article, docs and photos. We can easily write our notes, checklist, research on this app. Evennote is one the recommended app in all notepad apps for android. It also provide rights to discuss our work with others. We can also keep file attachments like doc’s, photos, PDF etc. It also provide search technology. We can easily search anything searchable in text and images. Approximately 100 million user download this app. One Notes Android Notepad AppsOneNote is popular in all notepad apps for android developed by Microsoft. We can easily write notes and edit them. It also provide bold, italic, underline options as we make notes on our computer. We can easily synced notes among all the devices on which we are working. We can easily add handwriting and drawing among the notes. It’s home screen widget quickly allow us to create pictures, notes without opening the app. Approximately 50 million user download this app. ColorNote-Notepad-Notes Android Notepad AppsColorNote is an awesome in the list of notepad app which provide quick note writing and editing experience. When we write the note it automatically save our note with save command. We can easily synced our notes across multiple devices and provide online backup. We can also locally save our notes on SD card. 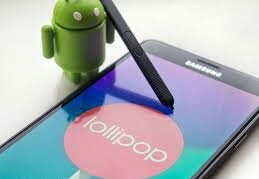 We can also password protect our note with a password so that no one can access our notes on our device. We can also share our notes with SMS, gmail, twitter. We can also organize our notes with color. Approximately 50 million user download this app. It is a simple Android notepad app in which we can easily write and edit notes. We can make text, voice or paint note with help of this App. It is a light weight Android app which is available for free. We can easily accessible our note. It also provide facility to share our notes with our friends. We can organize our notes in folders etc. Approximately 10 million user download this app. This will help your blogging and career just make use of it wisely thanks. Thanks such a wonderful post.